Corporal Keith Perkins is originally from Wisconsin. 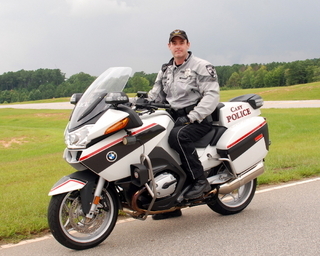 He began his law enforcement career in 1991 and served as a motor officer with the Cary Police Department from 2009-2012. After being promoted Cpl. Perkins was assigned to Uniform Patrol for one year. In September 2013 Cpl. Perkins returned to the motorcycle unit as the motor officer supervisor. He has been driving motorcycles both on & off road for 20 plus years.